We take it for granted that buildings have frontsides – and that the front façades are somehow meant to be the most impressive. 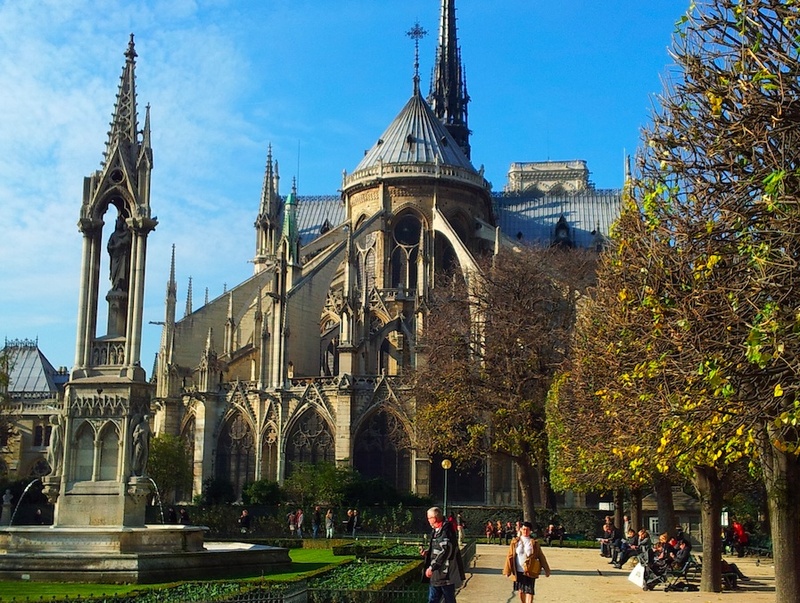 But this is the backside of the Cathedral of Notre Dame in Paris, and in my opinion it is far more impressive and enjoyable to look at than the front side. And what’s more: this great view is perhaps rarely seen or enjoyed by the armies of tourists that stop briefly to visit then move on. I have a few more examples where the hidden backsides of things are more stunning than the visible front sides, which I’ll post as time permits.